Hanoi (VNA) - The northern province of Son La will export Song Ma longan to the United States for the first time in the next few days. Nguyen Dinh Tung, general director of Vina T&T Import Export Service Trading Company Ltd., said his company had worked with the provincial Department of Industry and Trade and the plantation areas, and had completed the packaging process to transfer the juicy fruit to Hanoi’s Noi Bai International Airport. From Hanoi, the lot will be flown to HCM City for radiation, and then shipped to the US. Song Ma longan is a sweet-tasting fruit with a thick, juicy pulp and small seed planted on the hills and mountains of the province’s Song Ma district. It has distinct taste and quality compared to other types of longan in the country, Tung added. The first time shipment of Song Ma longan to the US is to introduce the product to the market. If consumers enjoy the fruit, the company will continue the export, he said. 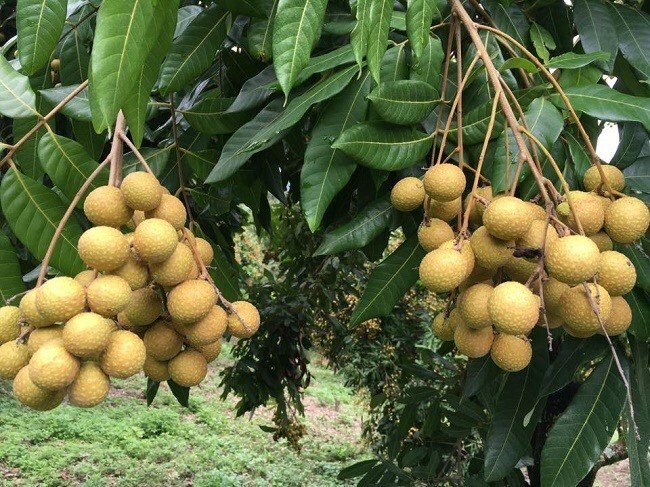 Around 32,000 households in Son La province grow longan on over 5,000 hectares of land and produce a yield of 40,000 tonnes of longan per year. It is not only consumed fresh, but a large quantity of longan is also processed and dried, mainly serving the northern market as well as exported to China. Last year, Vietnam earned 2.4 billion USD from the export of fruits and vegetables, of which 6 million USD came from Vina T&T. As the market shows positive signs, the company aims to earn 12 million USD this year, double its 2016 figures. In the first seven months of 2017, the company has already earned 8 million USD. Vina T&T Import Export Service Trading Company Ltd.